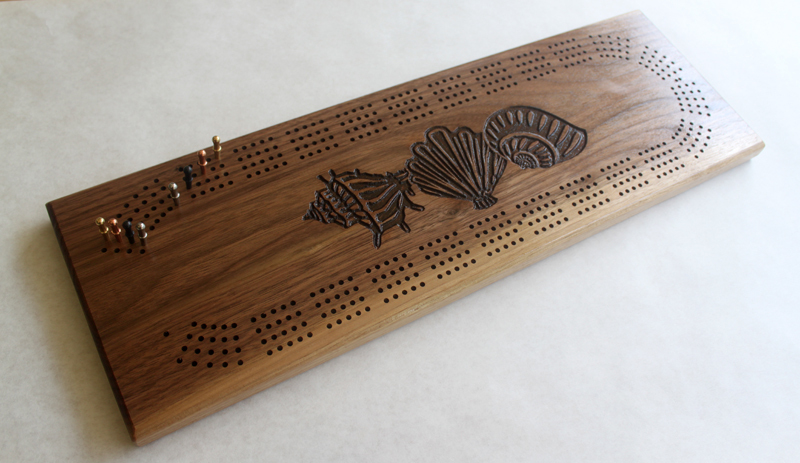 This custom board is made from your choice of wood and measures 6.5" by 19.5". It features four continuous tracks, in a true racetrack format. On the face is an engraved logo or image of your choice along with a name or short message. It comes with eight metal pegs which live in a pocket in the back with a sliding brass plate. The engraving is highlighted with a deep brown acrylic.